If you thought this kind of Christmas fare was out of your culinary league, think again. This is easy, would look fabulous on any Christmas buffet and is oh so scrumptious. I got this recipe from one of the kindy mums. Thanks Gub. Although I declined the invitation to her 40th birthday, which apparently was fabulous, everyone is still raving about the ham, Gub served at the party. 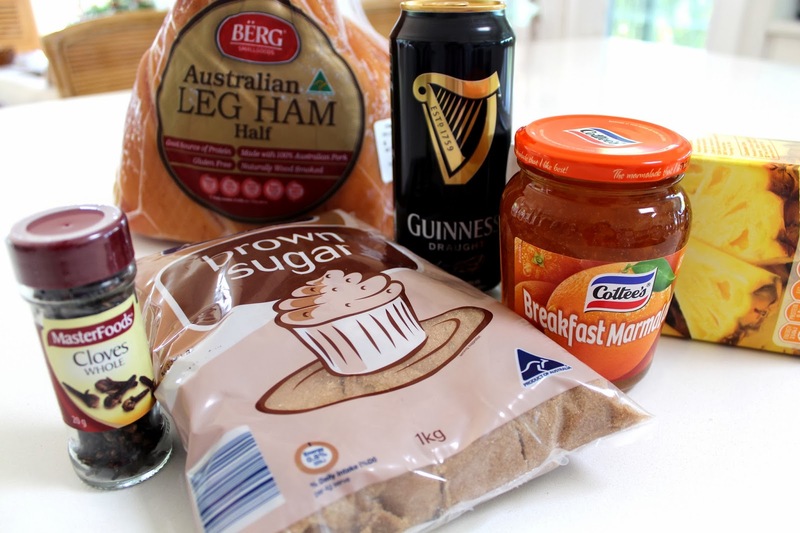 That ham is now part of the folk law in our little corner of the planet, so I hit her up for the recipe and she most obligingly came through last week. 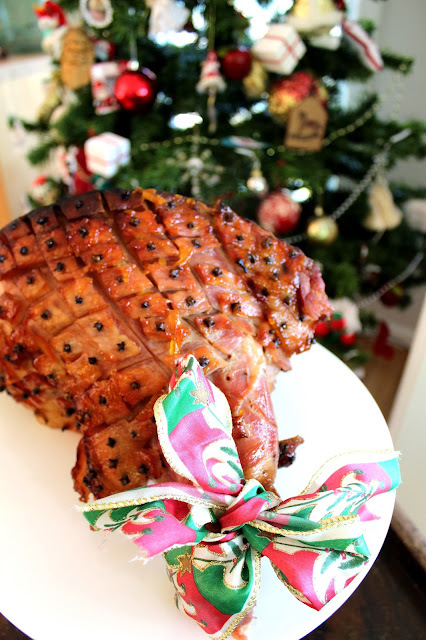 I don't usually buy a ham at Christmas time, let alone glaze it, but I do love a change. So this year, I presided over the full catastrophe and do not regret it for a second. To all those who come here, who are not the least bit interested in how to prepare food, I do apologise for all the food posts. That is just the way I felt like rolling this Christmas season. I bought loads of craft supplies, but just never got the urge to put them together this year. I do intend to put together a coastal Christmas mantel here, before I take a break, but don't hold me to it. And although I am very very grateful for my lot in life, I just posted this on my Facebook. This may be part of the reason for my malaise this season. "Bearing a child and getting married in the week before Christmas......obviously not in the same year, is a mistake I will not make in my next life. My Christmas tip........NEVER make love in March, unless there is some serious contraception involved. Oh and the marriage thing, well that's optional too." Mr Beach House and I can be found tonight, in one of Sydney's most beautiful restaurants by the sea, celebrating our wedding anniversary. Summer breeze at our shoulder, with the lapping of water to be heard, in the near distance. Nights like we are in store for tonight, are to me, what life is all about and I certainly don't have any rules about December. Ham on the bone 9-10kg. I used a 5kg one. Carefully take the rind off, leaving the fat in situ. 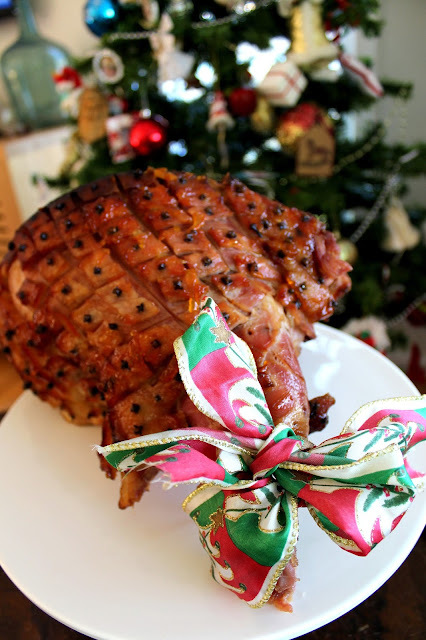 Reserve the rind, so you can wrap the ham in it, in the fridge to store. Mine is also wrapped in a pillow case. Score the fat into diamonds. Try not to cut into the meat, so as to retain its moisture. Heat marmalade to make runny and pour over the ham. Sprinkle brown sugar over the ham and pat down. 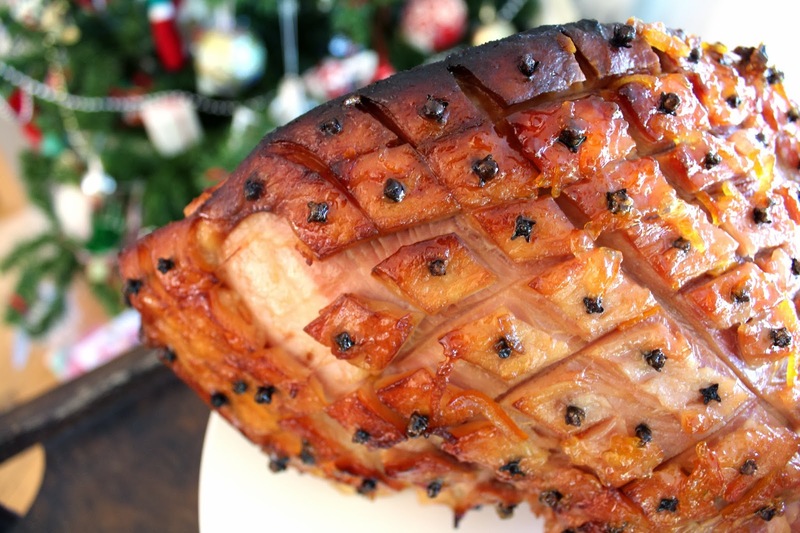 Place the ham in a large baking dish. Pour the Guinness, pineapple juice and 1 cup of water into the pan. Place in a pre heated oven at 140C or 285F. 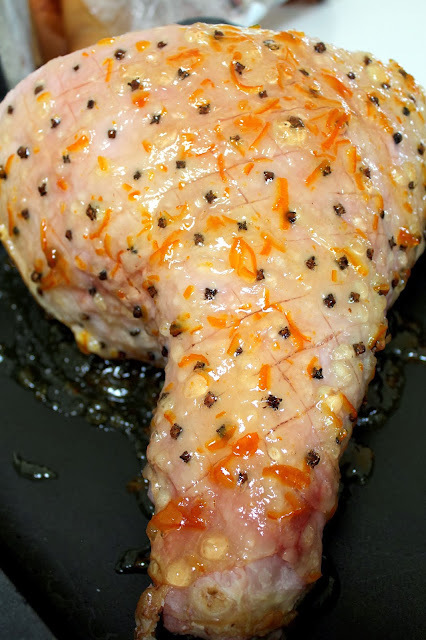 After the first hour, baste the leg with pan juices. Do this again at 2 hours. Cook for 2.5 hours for a 10kg ham or about 2 hours if it's 5kg. Oh and now I know why food stylists tie a ribbon around the leg in magazine shoots, because it splits and looks terrible. Clean it up, as best you can and tie it with some Christmas ribbon. 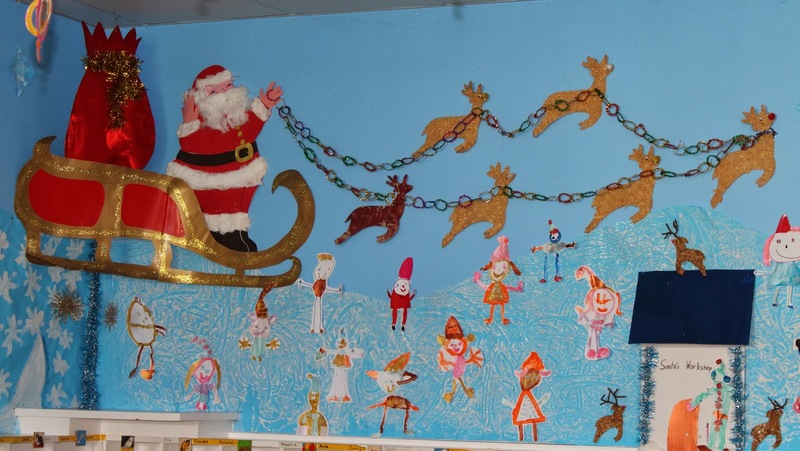 Want more Christmas inspiration? Go here. Want to receive Desire Empire posts in your inbox? Sign up here. No Charlie, I don't mind you saying. Happy to take tips from a master cook like you. Sad about the anniversary. This is the one time of year were I demand to be treated specially as I know I am worth it. Wow I can do this. you made it look easy. Love the fun wall and the ham. Wish I had a piece for lunch right about now. Instead I have the AC men installing a new central unit. Even though it's winter in Florida, it is WARM.